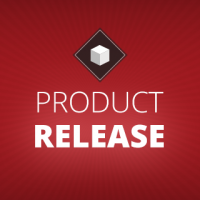 Today is day five of our Festivus Celebration here at Appcelerator, Festivus Miracles, and we’re calling it a wrap. Our Day 4 winner of the Appcelerator swag pack is @adamhegedus. We’ve had quite a few questions in the Q/A section in regards to supporting the Samsung Galaxy Tab and today’s miracle is that we’re going to show you how to do that. The Samsung Galaxy Tab is an Android 2.2 (Froyo) device, and by following the tips and guidelines below your Titanium applications should run correctly on the Samsung Galaxy Tab’s 7” screen in both the emulator and on device. 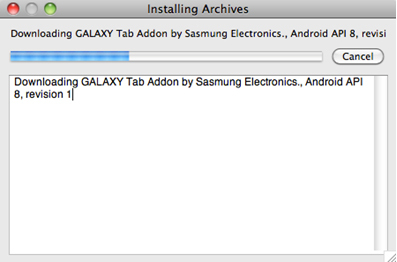 The first step in this process is getting the Samsung Galaxy Tab add-on installed. 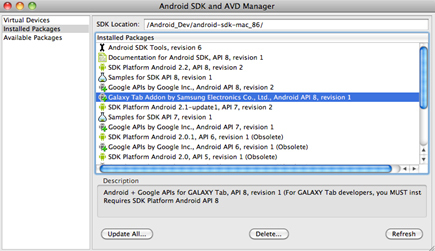 Before getting started with the Samsung Galaxy Tab add-on installation, you may need to install the android development environment. 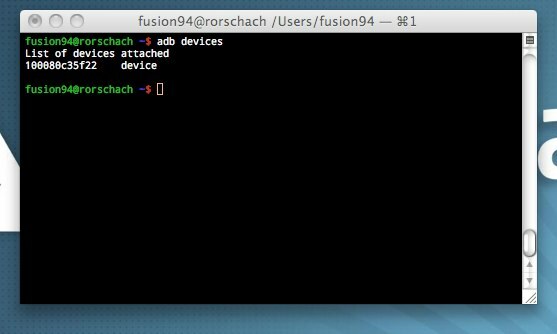 Run AVD Manager from the command line. 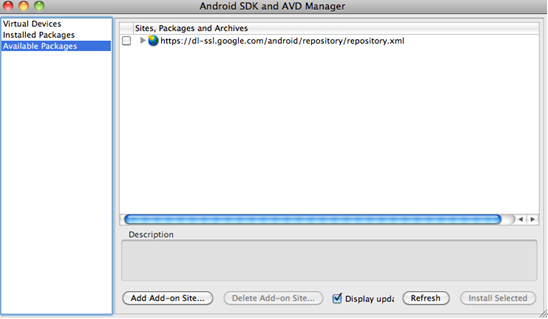 Select Available Packages in the left panel of AVD Manager. Click “Add ADD-on Site” and enter the URL below. Check Samsung GALAXY Tab Add-on packages and click install button. 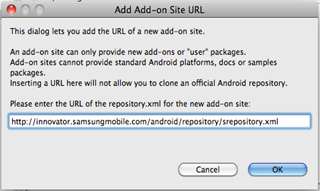 Check Samsung GALAXY Tab Add-on license & Click install button. 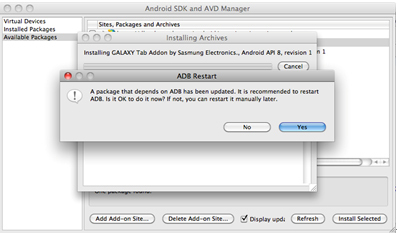 After downloading and installation of GALAXY Tab Add-on, you should restart ADB (Android Debug Bridge). 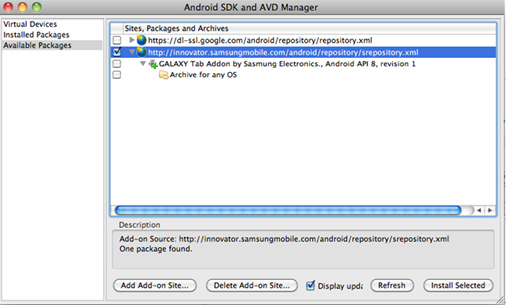 At this point all we’ve done is setup and configured the Galaxy Tab add-on to work with the android development environment. 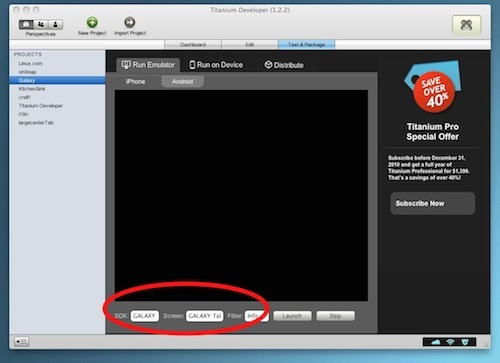 Now to make it work with Appcelerator’s Titanium Platform. 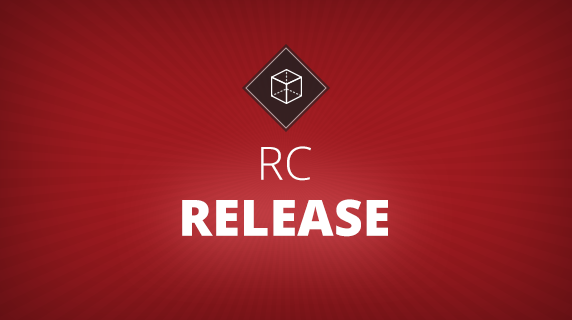 Download the lastest Continuous Integration build for your platform. Note: Please select the “master” branch and be aware that these builds can break other features/APIs. 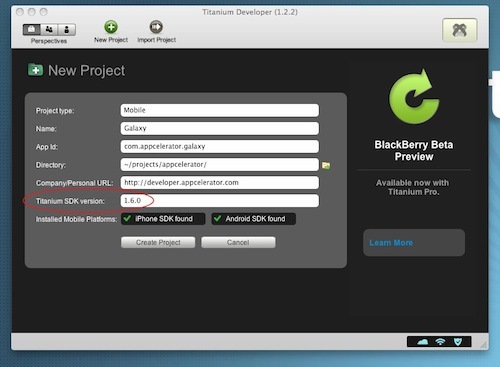 Once Titanium Developer has been restarted go ahead and create a new mobile project and ensure that the Titanium SDK version is set to be 1.6.0. Press Launch. If all goes well you should soon see the Galaxy Emulator launch and a skeleton app running. Hopefully by now you’ve got a skeleton app running in the Galaxy Tab emulator. So what’s next? Let’s now try and get it running on an actual device. Here’s what worked for us. a few times until the android development environment locates your device. 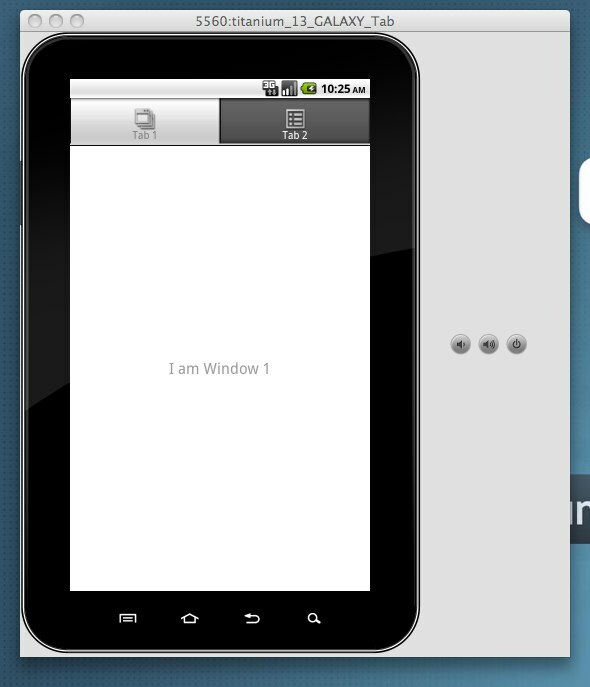 Once the device is located to deploy to device you just Test & Package –> Run on Device –> Android as you normally would. And that’s all there is to it. Soon we’ll be making changes to our platform to better support this device as well as other android tablets but hopefully this will provide you with a headstart. 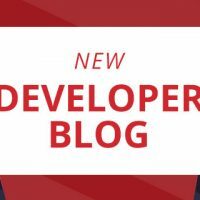 Don’t forget that we’re adding a new feature to the Appcelerator Developer Center in the new year, a Titanium Application Catalog that will function as an application discovery engine. 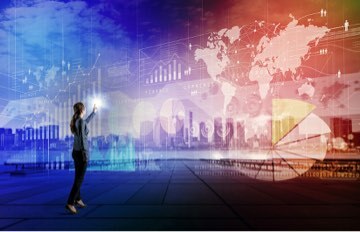 It will provide the best way to find and promote Titanium applications through a unique combination of application search, ratings & reviews. In preparation of that we’re now accepting application submissions. 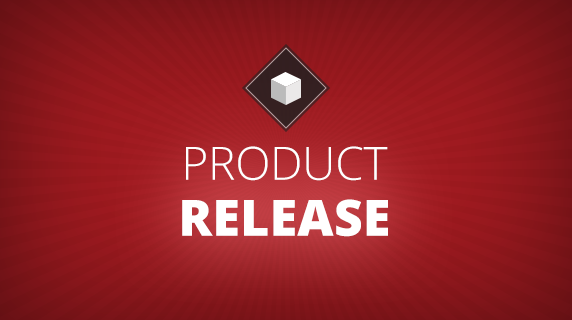 To get your Titanium Powered Application into the catalog please click the link below. You will need to be logged into your Developer Account to submit applications. * Footnote: The reason a modified version of builder.py is required is due to scaling issues with the Galaxy Tab emulator. If you run using this modified version of builder.py and the emulator is still too large or isn’t large enough you can open up that builder.py file in your favorite text editor and modify the scaling properties located on or about line 351. Currently we’re setting it to be 0.50 but feel free to set it to whatever works best for your screen. Also to note is that today is the last day of our Festivus Celebration and as such it’s the last day to win one of our swag packs. Remember to check back to see if you’re a winner and thanks again for participating in our Festivus activities. I have the kitchen sink sample running on our galaxy tab since 1.4.x API. That’s awesome. I did this blog post in a few hours and briefly tested the latest KitchenSink against the CI Builds and it wasn’t working. Granted I didn’t spend a lot of time trying to get it to work but glad to hear that you were able to.